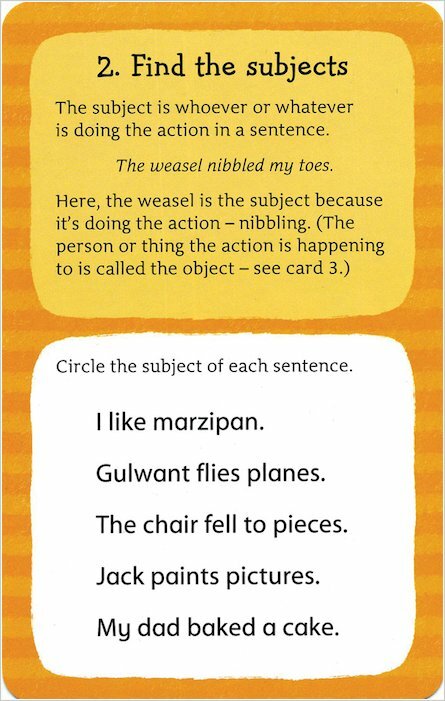 Quick-fix grammar solutions on exciting quiz cards. Test yourself and wipe the cards clean. Get better results in a flash! From identifying verbs to spotting subjects in a sentence and checking where capital letters should go, these cards are full of simple and entertaining exercises that you can do in a jiffy – and then wipe clean to repeat at any time. 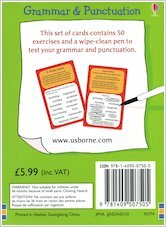 Each test includes an easy explanation of the grammar rule you are practising, plus examples and tips on getting it right each time. 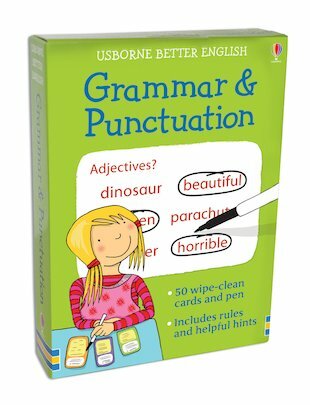 It’s a fast, fun way to solve those confusing grammar and punctuation dilemmas that can otherwise ruin your writing. No more head-scratching for you!